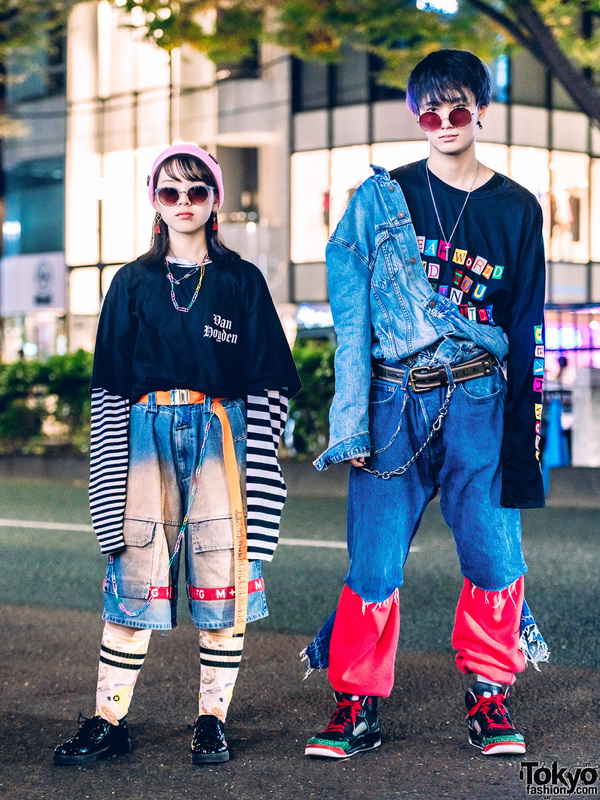 Harajuku guy in denim jacket, ripped jeans, and sneakers with Harajuku girl in long striped sleeves, vintage denim shorts, and patent shoes with striped painted tube socks. Harajuku guy in pink and plaid street style while out and about on the street. Harajuku girls sporting colored hair and coordinated outfits while out and about on the street at night. Pink-haired Harajuku girl wearing cute fashion including a Chuy’s taco t-shirt, pink high top sneakers, colorful socks, a visor, and pink Lego backpack. 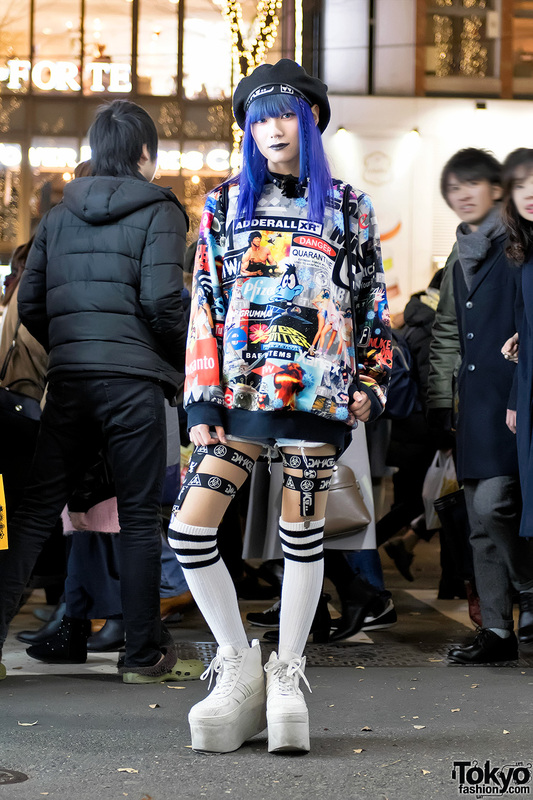 Harajuku street style featuring blue hair, a logo sweatshirt, striped knee socks, platform shoes and an NBA sackpack. Harajuku girl with a black bob hairstyle wearing a vintage Disney World sweatshirt with a checkered midi skirt, backpack, and Reebok pump sneakers.